Crystal Palace were held to a goalless draw at home by Bolton on Dougie Freedman's return to Selhurst Park. Freedman's Bolton were unable to recreate the form against his former club that saw them beat Sunderland in the FA Cup on Tuesday. 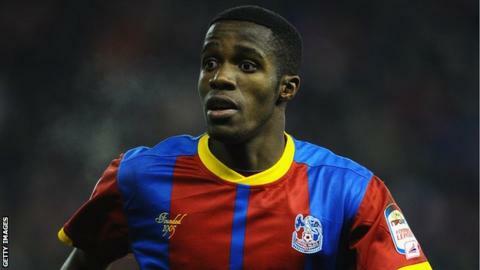 Wilfried Zaha has been making headlines for Palace and he came the closest to scoring, hitting the crossbar. Kevin Davies should have done better for Bolton but he fired over from just five-yards out. Palace manager Ian Holloway could well be planning for life without Zaha, as he has reportedly been the subject of a bid from Manchester United, but, while he remains at the club, the youngster will no doubt continue to impress. Palace have the longest unbeaten home run in the Championship with 13 matches, having won eight and drawn five since losing their Selhurst Park opener against Watford on 18 August. For the visitors, Chris Eagles was in good form, twice forcing Julian Speroni into saves before Palace thought they should have had a penalty. The ball appeared to hit the arm of Tyrone Mears but referee Robert Madley ignored the appeals. The home side also thought they had opened the scoring at the end of the first half. Glenn Murray reacted quickest after Adam Bogdan saved Yannick Bolasie's shot but the linesman was flagging for offside. Another jinking run and cross from Zaha should have produced the winner for Murray, but the Championship's top scorer, with 22 league goals, scooped his shot over the bar. At the other end, Davies headed straight at Speroni before the Argentine saved well from Keith Andrews. Freedman was in charge for 92 matches at Palace before taking over at Bolton in October, but has only now won five games out of 17 since then. The result leaves the Eagles fourth, just two points off the automatic promotion places, while Bolton are now 12 points off the top six in 16th. "We start slowly, like my car did this morning but the longer the game went on the better we looked and I find it hard to believe we didn't win, but that's the way it's going at the moment. "So the players are disappointed, we really want to stay in touch with the top teams and go up automatically, so we have to turn games like that into three points towards the end of the season." "We had a plan and stuck to it and played some terrific football. Towards the end Palace got their widemen in the game but I'm satisfied with the performance. "I thought it was a fantastic reception, I had some wonderful times here and they will never be taken away from me."